I have a white door that needs some serious help! I love my door, but it hasn’t been painted or updated since we moved into the home years ago. 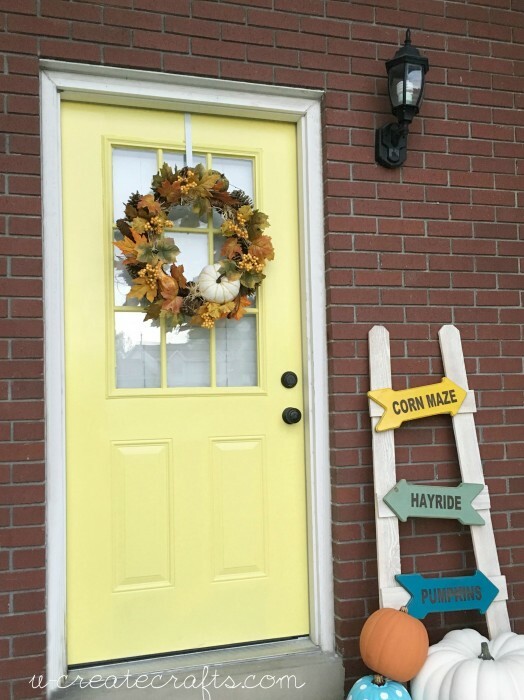 I wanted to brighten up my house with a beautiful, colorful door that would add lots of personality. I’ve debated over the past couple of years on what color to paint it and I finally decided it needs to be a bright, buttery, yellow. Yellow makes me “happy” and I thought I’d give it a “go”! Valspar Duramax Paint (color I used is Valspar’s Lemon Curd 3007-2A) I decided to go with the “Duramax” paint because with this being for my front door I needed an exterior paint that could hand the weather and would be long-lasting. I didn’t have to prime my door because it is included (which was an added bonus)! Clean the door and sand any un-smooth edges. 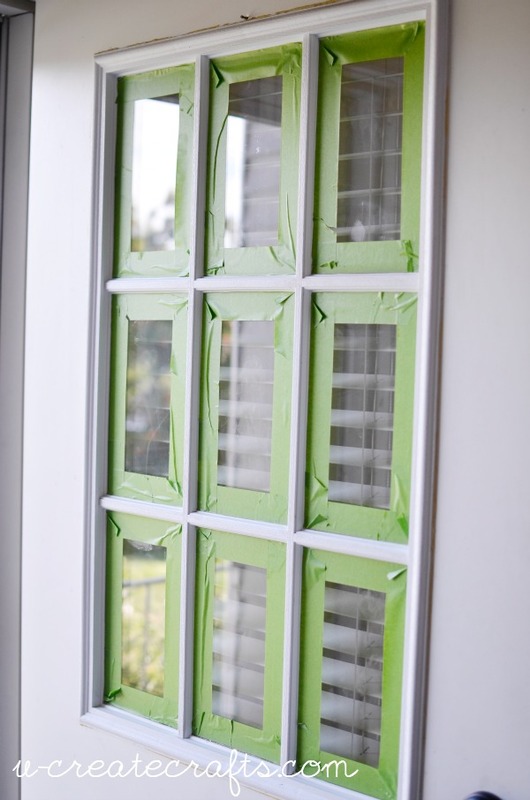 Tape off any windows your door might have. I also ran tape around the edges of my door because I only wanted the front part yellow. One coat of this paint should be enough, however I used two simple coats and it covered everything perfectly. I had some black spots that needed to be covered up and it definitely did the job! 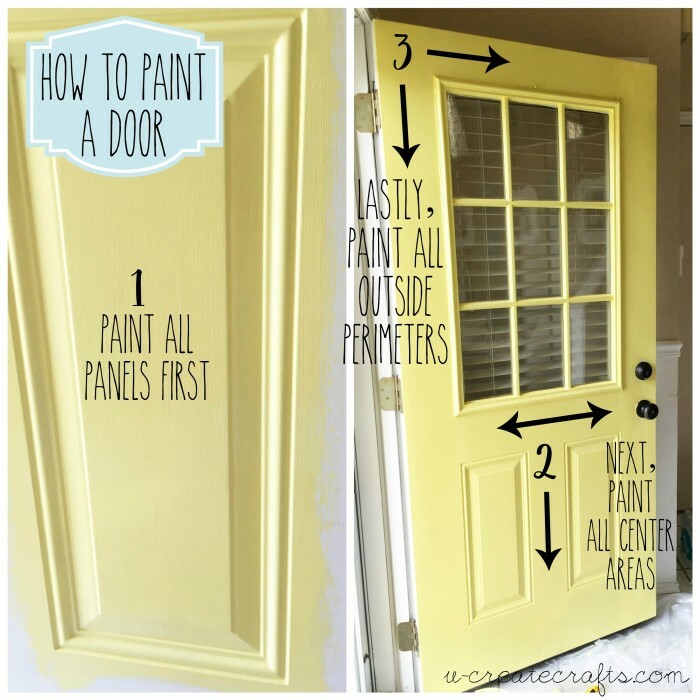 IMPORTANT: Follow directions on your paint can and let completely dry before shutting the door or putting the doorknobs and hardware back on! You don’t want to ruin all of that work! 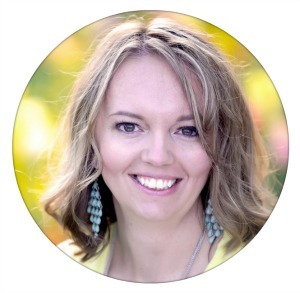 I cannot tell you enough how thrilled I am with the results! 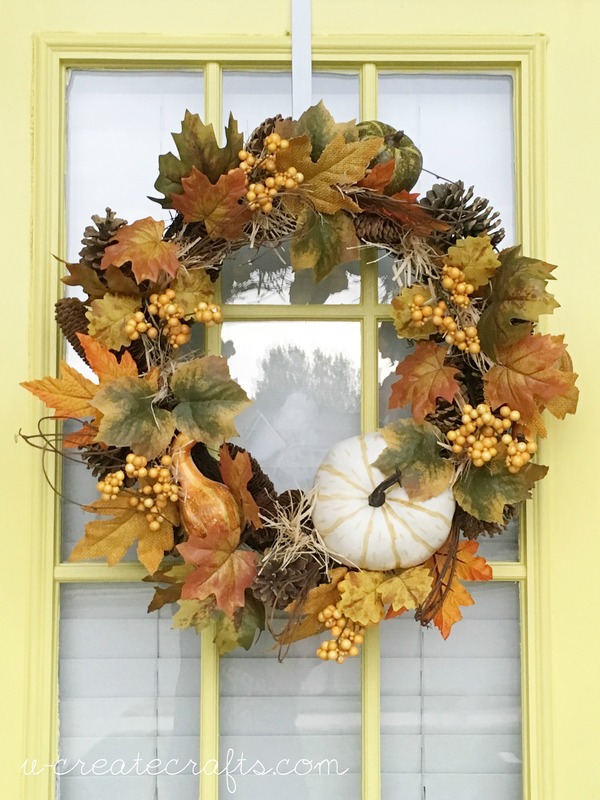 This paint is gorgeous and I immediately decorated with a beautiful fall wreath! It adds so much personality to my house and I can’t wait to decorate my porch for every season! Here are more details about the Valspar Duramax paint in case you are looking for a high, quality exterior paint! 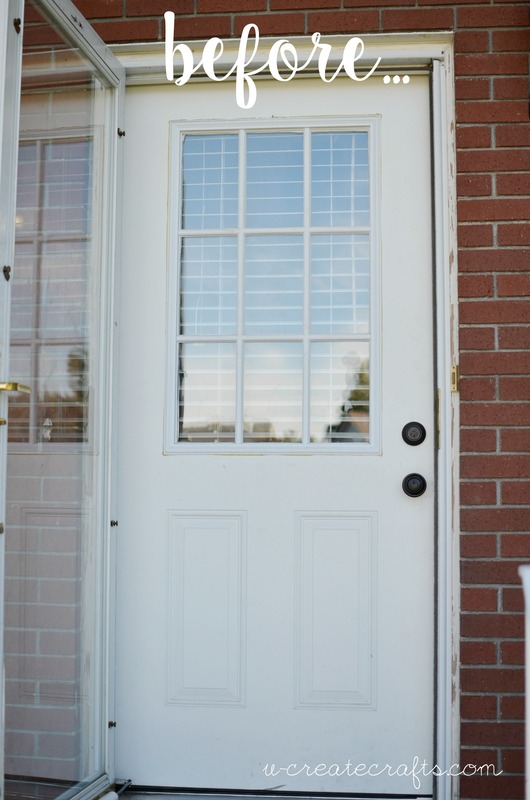 Check out Becky’s front door makeover! She’s used a beautiful purple color and you’ll want to see it – so gorgeous!! 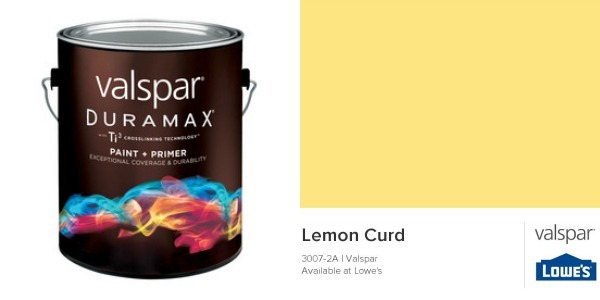 This post is sponsored by Valspar. All opinions and projects are by U Create. 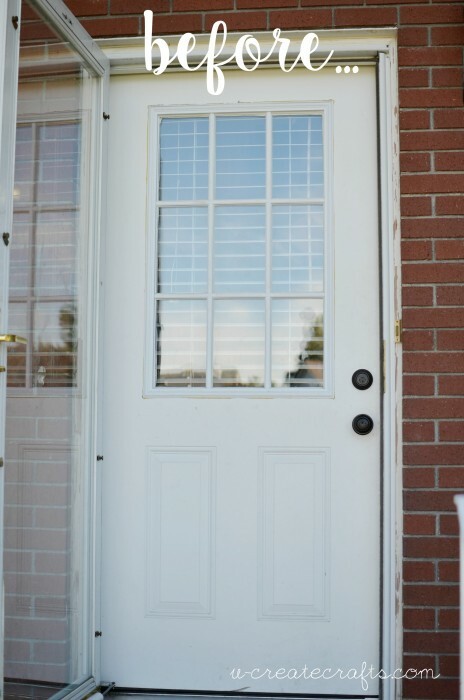 What type of brushes/rollers did you use for the door? I used a medium-sized “Purdy” brand brush. Those small smooth rollers work great, too!